The prettiest rebel in the galaxy. 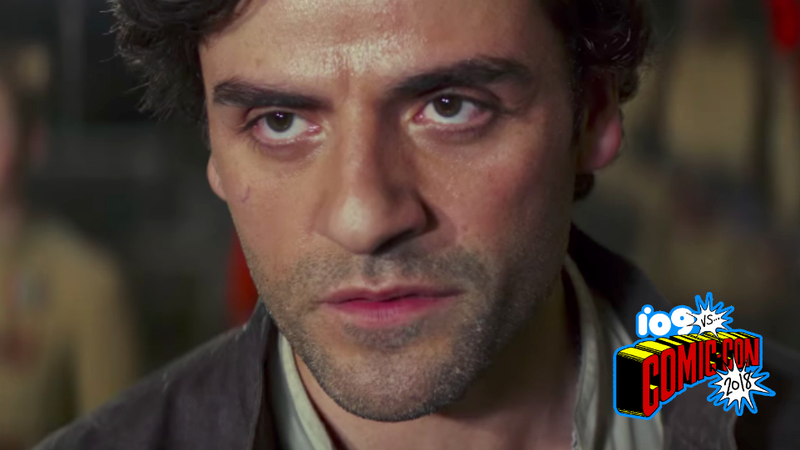 One of the hottest debates about the plot of Star Wars: The Last Jedi is the question of hotshot, insubordinate pilot Poe Dameron. Did Poe do anything wrong? Is the beautiful hotshot pilot guilty of doing material harm to the cause of the Resistance, or did he do what any reasonable hero would have done in his situation? A group of amazing fans have decided to put the debate to rest. At San Diego Comic-Con 2018, the Legal Geeks, in collaboration with the Rebel Legion Sunrider Base, answered the question of Poe Dameron the way the question would be answered in any orderly military: with a court martial. Featuring a full mock trial, complete with cosplaying actors as Poe, Leia, and other Resistance officers, the two groups came together to celebrate the law and get to the bottom of this Poe thing once and for all. And now, finally, Legal Geeks has posted the full panel/performance online. Folks, this is fandom done right. A joyful performance that’s half LARP, half fanfiction, and another extra half media criticism, the Mock Court Martial of Poe Dameron is one of the most fun things I’ve seen to come out of The Last Jedi’s very involved fandom response. The performers here make it, with Marcus Holt, playing Poe, in particular doing a great job portraying the frustration Poe would inevitably feel at such a proceeding. The proceedings are goofy, gleeful, and full of wonderful nods to the franchise. If you’ve got some time to kill, this is absolutely a great way to spend it. Until Episode IX comes out, this is my new favorite Star Wars sequel.